Pat Marsh is a Senior Vice President in the Industrial Division of Colliers International, the leading commercial real estate firm in Nevada. Mr. Marsh began his industrial real estate career with CB Richard Ellis in 1996 and joined Colliers International in 1998 when Colliers International established a presence in Las Vegas. Mr. Marsh is experienced in all phases of industrial real estate including land sales, site selection, design, leasing, owner/user and investment sales. Besides land sales and buyer representation, Mr. Marsh currently lists over 2 million square feet of industrial property in the Las Vegas Valley. Some of the property owners Mr. Marsh has represented include: Archon Group, ProLogis, Panattoni Development, EJM Development Co., Weingarten Realty, Harsch Investment Properties, Rreef Funds, Nevada Real Estate Group and Rousso Investments. Since 1996, Pat has been an active member in the Southern Nevada chapter of the National Association of Industrial and Office Properties (NAIOP) and is a member of the Society of Industrial and Office Realtors (SIOR). In 2003, Mr. Marsh was awarded his SIOR designation which is earned by tenured performance and adherence to the highest ethical standards. Sam Newman is an Associate Vice President, specializing in Industrial & Logistics. Since joining Colliers in 2010, Sam has been involved in over 350 industrial transactions with a total consideration in excess of $365 million. During his tenure, Sam has accumulated a vast knowledge of all phases of industrial site selection, design and development, acquisition, stabilization, disposition, along with general leasing and sales. 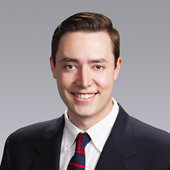 Sam has been partnered with Pat Marsh, SIOR since his start at Colliers. Together, they currently list over 2 million square feet of industrial property in the Las Vegas Valley and have represented some of the top corporations in Southern Nevada. Representative clients have included Panattoni Development Company, Freeman Company, Scientific Games Corporation, Rousso Investments, Prologis, Wal-Mart Stores, Inc., MGM Resorts, EJM Development, Apex Industrial Park, NV Energy, Las Vegas Paving Co., Harsch Investment Properties, and CenturyLink / Embarq.